Organic Lawn And Garden Care Products | GRO-WELL Brands Inc.
GRO-WELL Brands is the largest company in the Southwest US specializing in the production and marketing of all natural and organic products. As the region's largest green, wood and food waste recycler, GRO-WELL uses its proprietary composting process to make a full complement of organic products from waste products that would otherwise end up in landfills. Operating from advanced production facilities in Arizona, New Mexico, Idaho and California, GRO-WELL owns some of the most recognizable brands in the all natural and organic lawn and garden industry to include Garden Time, Nature's Way, OMNI, Organo and GRO-WELL Soils. 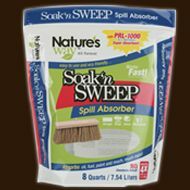 Eco-friendly and effective way to clean up messy spills. 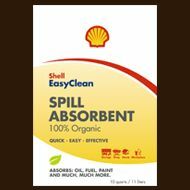 This pet & kid-friendly product cleans up liquid spills from oil spills to household acciendents.To learn more about what this revolutionary product can do, click the watch now link to view the Soak 'n Sweep commerical. NEW! 100% OrganicShell Spill Absobent. The revolutionary absorbent that absorbs 7x faster than clay absorbents. 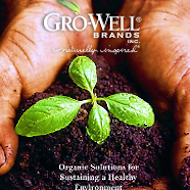 GRO-WELL Brands Product Catalog features the company's complete line of products to include soils, ground covers, fertilizers and bird seed. For returns, please call 602-792-0275 and select option one for consumers. Copyright © 2019, GRO-WELL Brands Inc. All Rights Reserved.